Mas Oller s/n, Carretera GI-652 Km. 0,230, Torrent. Check our our virtual tour of the vineyard, winery and shop! Have you ever wondered if music can change the way we perceive wine? Or that it influences our different senses? With the team from La Gastronòmica, we've designed Vi de Violí - a unique chance to see how music effects the Mas Oller wines. 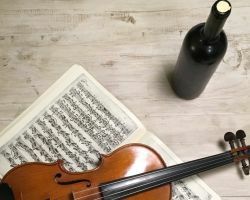 A wonderful, musical wine pairing that will surprise you! Limited places available - tickets sold online. Learn about all the details involved in the winemaking porcess: from the vineyard to the ageing room. 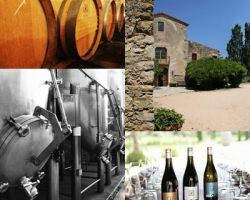 Enjoy the wonderful countryside, with views of the Medieval village of Pals and the Medes Islands; let your senses guide you through this visit and wine tasting at Mas Oller. Mas Oller is located in an area that combines sea and mountain, very marked by the presence of wind, and the north where a diversity of soils: clay, sandy slate. Do you want to receive our newsletter? Enter your email address below and we will keep you updated with information about Mas Oller.